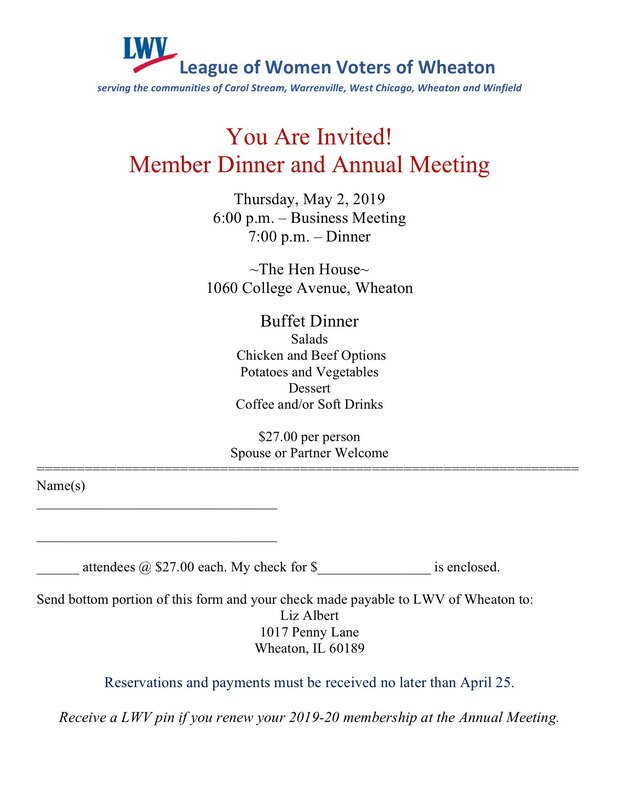 6:00 PM - Annual Meeting - Please try to come to this because we need a quorum. It is an excellent time to review the accomplishments of the year and socialize with your fellow League members. Parking is available at the College Avenue station and on College Avenue. Sign up here.